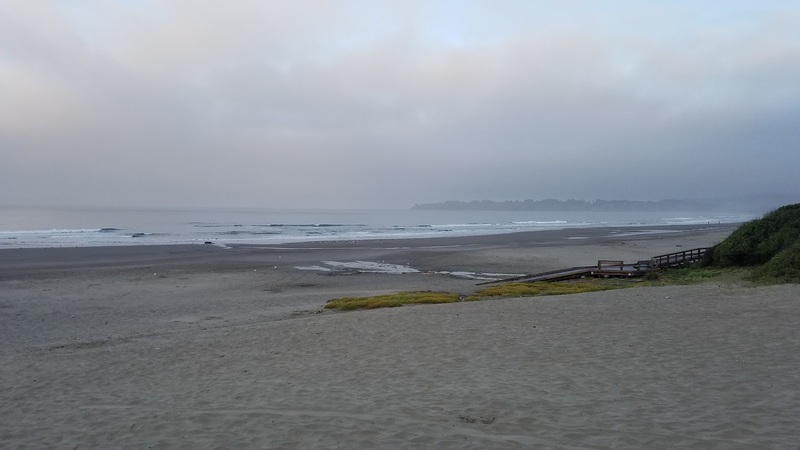 Stinson Beach is an easy day trip from the Sacramento area that we've made several times within the last few years. Although the drive is always worth it we wanted to try something different and stay the night at one the local hotels, the Sandpiper Hotel. 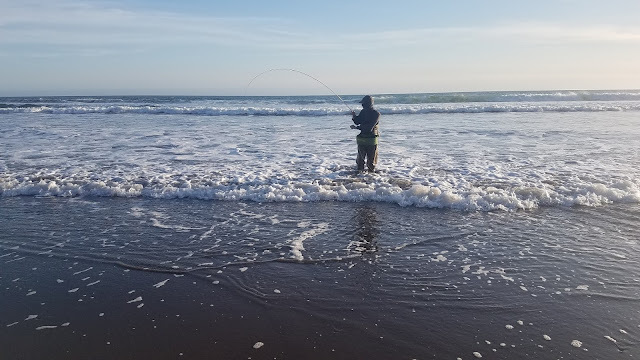 With spring in the air and no pressure to get home before midnight, I was going to fish the hell out of the Stinson Beach. The beach is something both the missus and I can enjoy; I get to go fishing and she gets to soak up the sun on the beautiful California coast. I brought both my spinning outfit and my fly rod just to change things up however I ended up using my fly rod for the majority of the trip. 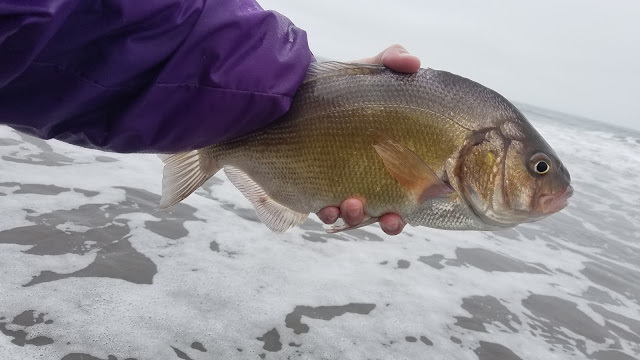 I tried a new rig by adding a perfection loop to my leader which allowed me to fish a Simple Shrimp with a loop-to-loop and a clouser at the end. 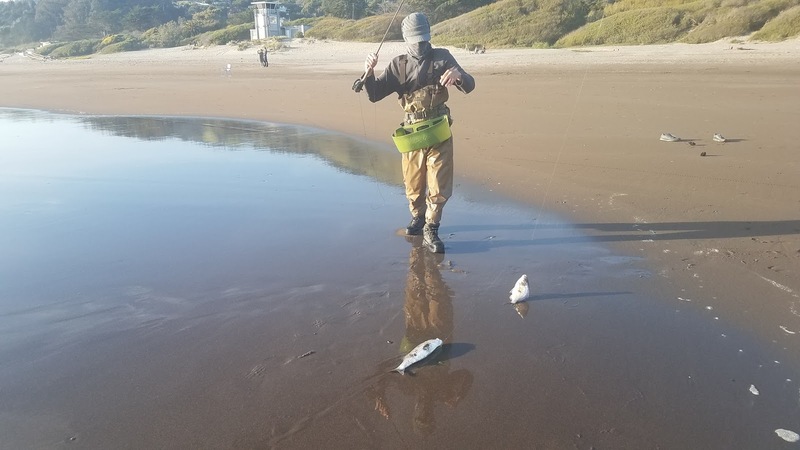 Stinson Beach fishes well in the spring and provides ample opportunity for several different species such as surf perch, striped bass, jacksmelt, and halibut. I've found evenings to be the most productive on Stinson Beach no matter the surf conditions or tide, the majority of the stripers and surf perch that I've caught have been hooked in the evening. Always be prepared for everything because you never know what you're going to catch out on the surf . The beach was looking pretty rough when we arrived around noon. Heavy north west winds made casting difficult and I gave up after fighting the strong gusts for a few hours. I would try again later in the evening when the wind finally died down. I had two hours before sunset to find a productive area to cast into and find my fish. It took a few minutes hiking up and down the beach but once I found the fish, I found the fish. 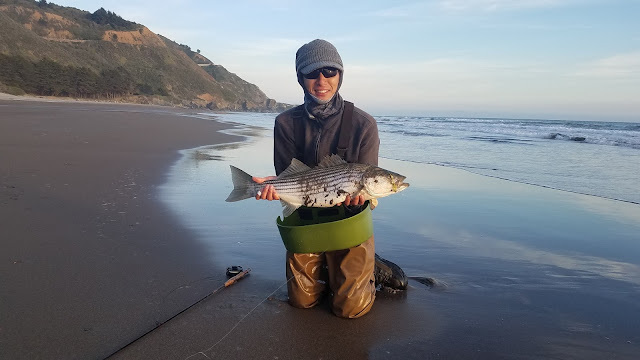 I caught several species of surf perch, got two doubles, and landed my first trophy surf striper. It was an amazing evening that made me fall even more in love with this beach. My stripping fingers are currently bruised and my legs are sore from standing and hiking all day but it was worth it. The surf conditions the following morning were much more favorable than the previous day. 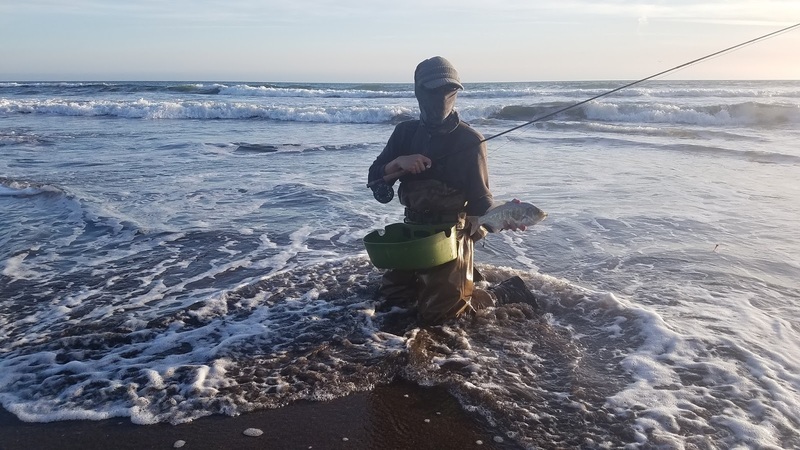 I was hoping to recreate the success I had last evening however I wasn't able to find any other species aside your resident surf perch. Stinson Beach never disappoints. Thanks. It's the best one I've caught so far! Now I'm looking to get a bigger one.